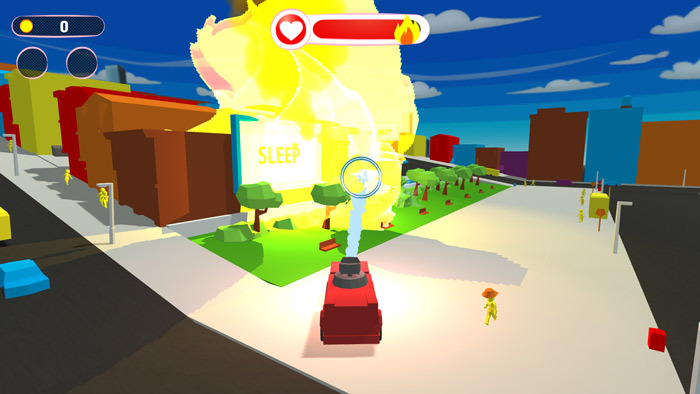 "A simple low poly game that is lots of mindless fun." 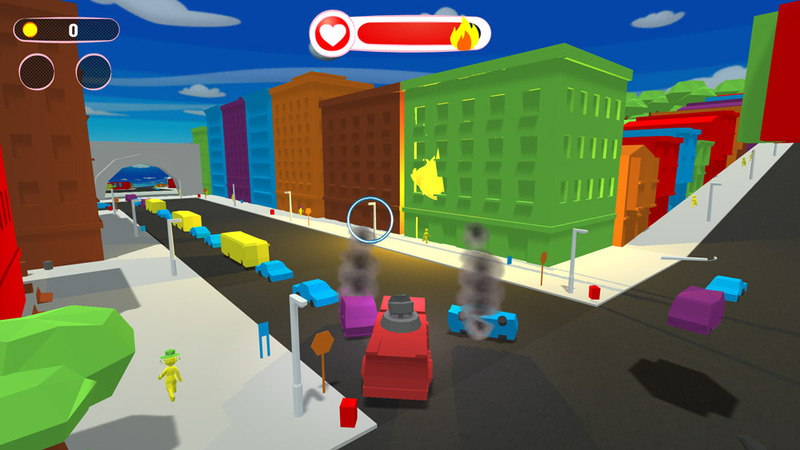 Firedawgs is a simple low poly game where you must drive a fire truck around a city putting out fires as quickly as you can, the graphics are very blocky but also very colorful and enjoyable and makes this a game that people of all ages should be able to get involved with. Whenever you put out a fire some giant coins will appear which can be collected and then put towards rebuilding your city which is being ravaged by all these careless people who keep allowing fires to start each day! 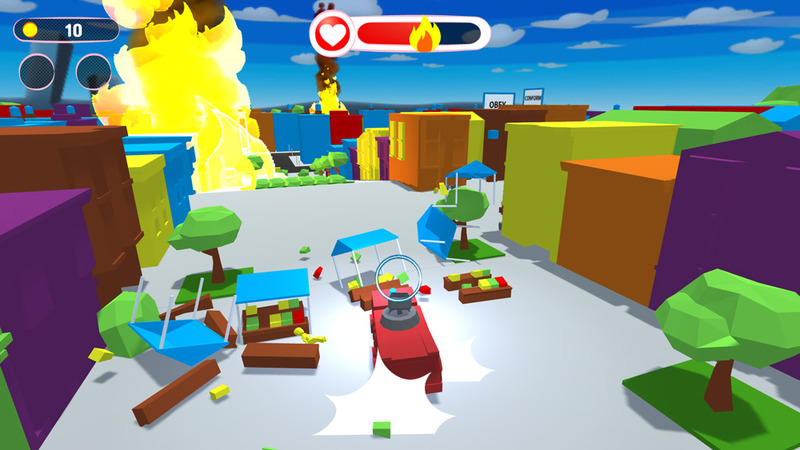 It’s worth pointing out the game is in very early development at this stage and still features no audio on it, but it is a lot of fun being able to plough through buildings and people in your fire truck although killing people whilst you’re trying to save lives by putting out fires may be something of a misnomer. It can actually be a lot more challenging than you’d expect to keep putting enough fires out to not get a game over as you are on time to fire putting out ratio and if not met you will get the game over screen. 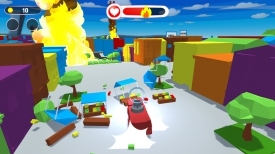 Although a simple and somewhat childish looking game Firedawgs is a lot of simple fun and should provide players with some mindless enjoyment. You can download Firedawgs here for free.